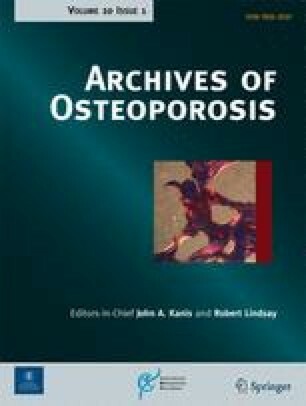 Use of anti-osteoporotic drugs (AOD) the first year after a forearm fracture in central Norway was low in the period 2005–2012. Women with fractures used more AOD compared to the general population only in 2006, 2007, and 2011. Female gender, age ≥ 60 years, use of glucocorticosteroids, or ≥ 4 different drugs were associated with AOD use. The primary aim of this study was to examine time trends in prevalence and incidence of AOD use the first year after a forearm fracture from 2005–2012. Further, secondary aims were to investigate if gender, the number of drugs used before fracture, or use of glucocorticoids influenced the prescription of AOD, and to examine adherence to AOD. Data is from the fracture registry in Nord-Trøndelag and the Norwegian Prescription database, including women (N = 1434) and men (N = 513) 40–84 years with their first forearm fracture between 2005 and 2012. AOD were defined as bisphosphonates, teriparatide, denosumab, and raloxifene. Prevalence and incidence were calculated, and prevalent use among women with forearm fracture was compared with the population in Nord-Trøndelag and Norway. Age-adjusted Poisson regression analyses for time trends and odds ratio for treatment with AOD was estimated. Adherence was defined as medication possession ratio ≥ 80 %. The first year after the fracture, 11.2 % of the women and 2.7 % of the men were prevalent users, while 5.1 % and 1.2 %, respectively, were incident users of AOD. Bisphosphonates comprised 98.8 %. AOD use among women with fractures was significantly higher compared to the general population in Nord-Trøndelag only in 2006, 2007, and 2011. There was a trend towards a decline in AOD use among women with fractures from 2005 to 2012 (coefficient −0.05, p = 0.15). Female gender, age ≥ 60 years, use of glucocorticosteroids, or ≥ 4 different drugs the last year before fracture were associated with AOD use. In women, 54.8 % were adherent during 3 years after fracture. The use of AOD after a forearm fracture was low. 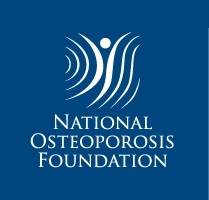 An increased focus on osteoporosis in fracture patients is needed for secondary fracture prevention. The Fracture Register in Nord-Trøndelag was established by The Nord-Trøndelag Hospital Trust. The work was supported by the Liaison Committee between the Central Norway Regional Health Authority (RHA) and the Norwegian University of Science and Technology (NTNU). BA has received research grants from or served as a principal investigator in studies funded by Novartis, Nycomed/Takeda, NPS Pharmaceuticals, and Amgen. US has received research grants from or served as a principal investigator in studies conducted by Amgen, Eli Lilly, Novartis, Merck, and Wyeth pharmaceuticals. MH, SS, HM, AJS, AL, and BS have no disclosures.